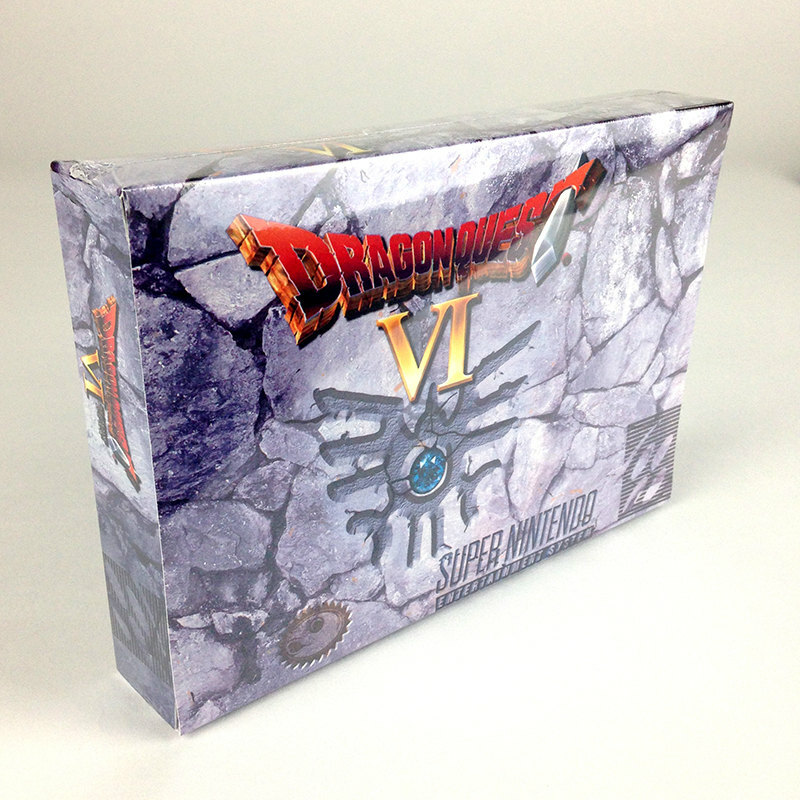 Dragon Quest VI: Realms of Revelation is a tradional JRPG video game developed by Heartbeat and published by Enix for the Super Famicom as a part of the Dragon Quest series and as the last Dragon Quest game in the Zenithia trilogy. It was originally released on December 9, 1995 in Japan and did not see an English translation version released in the United States. Like its predecessor, Dragon Quest VI was a Japan-only release because the larger ROMs needed for English dialog were cost-prohibitive (the game was already 32 megabits in size, the limit for SNES ROMs without using bank switching). The story follows the traditional Dragon Quest “Hero” on a quest to save the world. In this particular installment, the heroes also have to endure the personal struggle of amnesia, as many of the main characters do not initially remember who they are. After completing a series of quests, the player learns that in addition to a Real World, there is also a Dream World, made up of people’s dreams, and that there is a great evil that wants to conquer both. The Hero and his new party work together to save both worlds from the ever-growing threat. Dragon Quest VI is a traditional, turn-based RPG which features random battles and a character class system that the Hero and his party members acquire new skills and spells. The Hero travels around the world gathering a party throughout his adventure. To progress in the story, the party must defeat specific boss monsters or trigger specific flags. In order to defeat the bosses, the player must spend time training the party by gaining experience points from battles to advance in character and class levels. Other new features were added to the series, such as the monsters being animated when they attack. The Slime Arena and Best Dresser Contest were new mini-games introduced; the casinos return from previous Dragon Quest games. Like previous games, mini medals can be found hidden throughout the worlds and can be traded for items. There are bonus dungeons and a few extra characters after beating the main storyline. There is a day and night system, as in some previous installments; with certain storyline events happening at night. While the Monster Master class can catch monsters, it is not a major part of the game. Another returning feature from the past two games is the use of the wagon, which allows characters to be swapped out for other ones on the world map. This Dragon Quest, similar to Dragon Warrior III and Dragon Warrior VII, has a class system. Once the party gets to Alltrades Abbey, they have the option of becoming one of several starter classes.